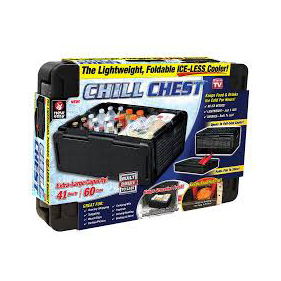 The Chill Chest is an iceless cooler that claims to be able to keep food and drink items cold for up to 10 hours thanks to its temperature lock technology. ... The Chill Chest is a foldable, stackable cooler that claims to be able to keep food items cold for up to 10 hours at a time .